L’Ecole No. 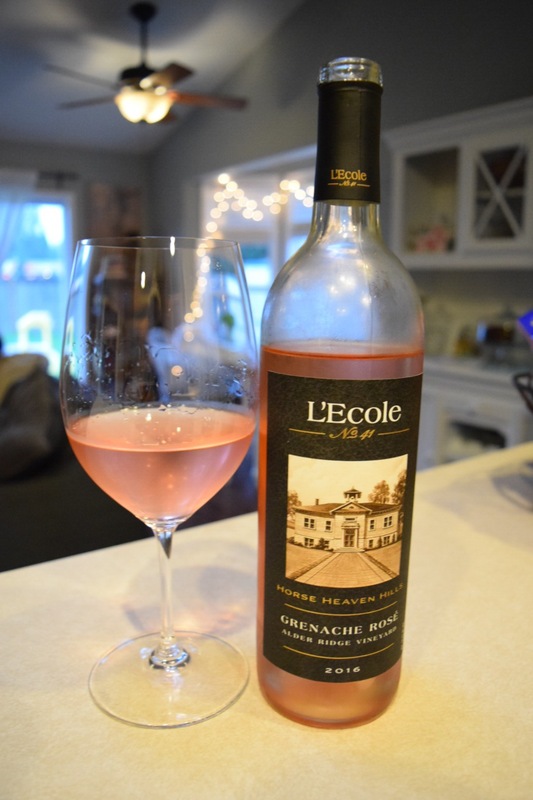 41 Grenache Rose – Wine Obsession of the Week – Abbey Co.
Have you noticed a theme with my wine reviews this month? The little bit of sun we are catching here in Seattle has me ready for summer, and sitting out on the patio sipping rose! L’Ecole No. 41 is a popular winery here in Washington State, and it should be relatively easy to track this wine down on shelves. It has a very beautiful citrus/floral nose, and has a nice dry finish with low residual sugar. If you are not familiar with L’Ecole No. 41, they are located Eastern Washington, just outside of Walla Walla. The winery itself is GORGEOUS and is on my list of wineo must-visits! Previous PostPrevious May IPSY Glam Bag Review – Purchase or Pass? Next PostNext Real foodie talk – what is your favorite kitchen gadget?